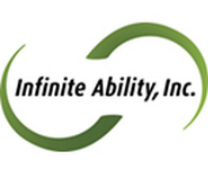 Our Family - Infinite Ability, Inc.
Chelsey Lukowski is our Manager at Wyndwood, Kristen and Rehdantz Houses. She started with Infinite Ability in 2006 as a part time life skills trainer and has gain the respect of both employees and clients through her hard work and dedication. Born in Madison, Pardeeville is her home now where she lives with her dog, Jack. She is the baby of the family with three older brothers so it is no wonder she is a year round outdoor enthusiast. “I also love to travel and spend time with my family and friends,” she reports. Call Chelsey at Kristen House: 608-429-9409.